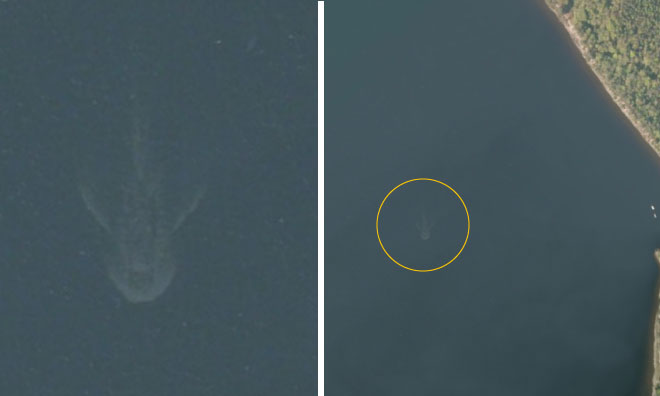 Apparently, someone found Nessie -- or at least her wake -- via Apple Maps. I'm not convinced, but I have to admit that this image really is kind of cool. It looks like something just below the surface is leaving a wake -- and it's a really BIG something. Y'know what it looks like to me...? Update: A friend to this blog directs our attention to this article, which tries to convince us that what we're seeing is just another boat wake. Bah! 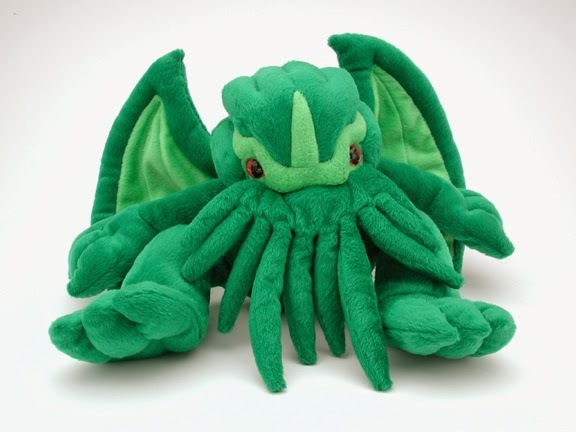 Obviously, Cthulhu's minions are everywhere. I live on an island near the Canadian border. Our little newspaper usually has a paragraph or two of old historic news for general interest. 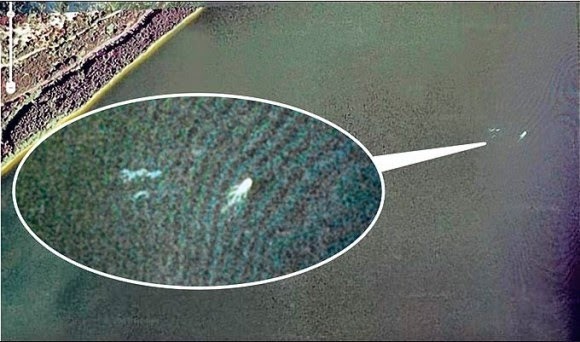 One such piece was of a group of fishermen that reported seeing a "Nessie" type creature. They were watching a group of Orca whales running down a school of fish when the Orcas stopped suddenly and reversed direction. They had never seen them behave like that, and sure enough a huge creature rose out of the water. It clearly had a head like a horse and a long neck, and if I remember it was covered with kelp which made it look hairy. Pretty cool, makes you wonder if animals like that still actually exist. Is The Nautilus. Always has been.